I've been in a huge Halloween mood recently. 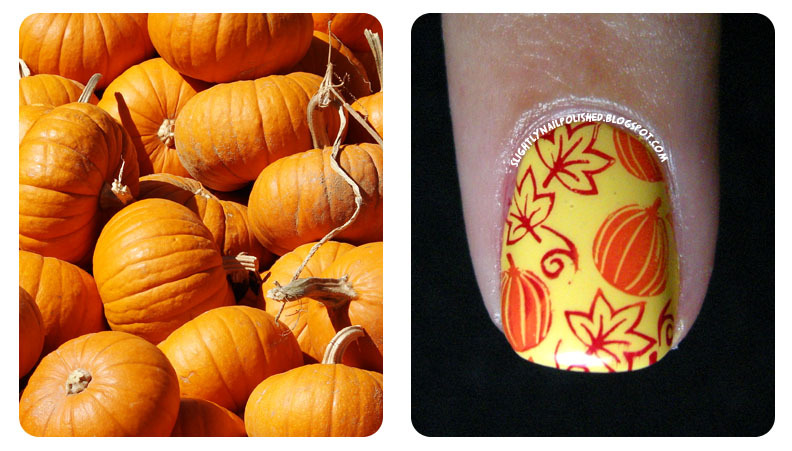 Maybe it's my eagerness to just have the hot months behind me... but I'm really looking forward to October. 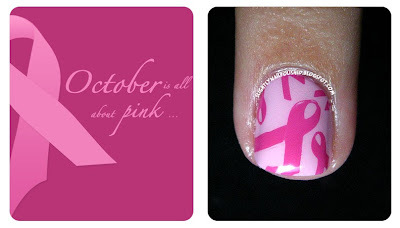 So I decided to celebrate this in my nail design. I'm not going to lie to you all. This is not one of my best designs. 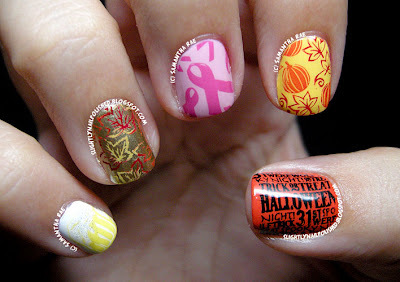 I feel like I relied too much on stamping and not enough on creating a cohesive manicure. But all-in-all, I do think it is a moderately good design. Even if it isn't necessarily the most creative. 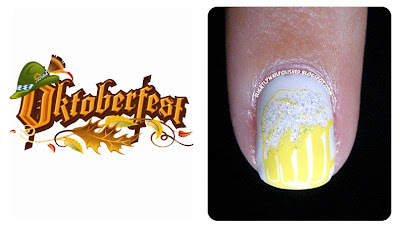 Oktoberfest: my least favorite of the designs, simply because it faded into nothingness. :( You can barely see it on the nail. I started with a base of white, then stamped the beer glass from Bundle Monsters new Holiday set (plate BM-H04) with Sally Hansen Insta-Dri Lightening. I added White Cap by China Glaze to accentuate the foam a little too. 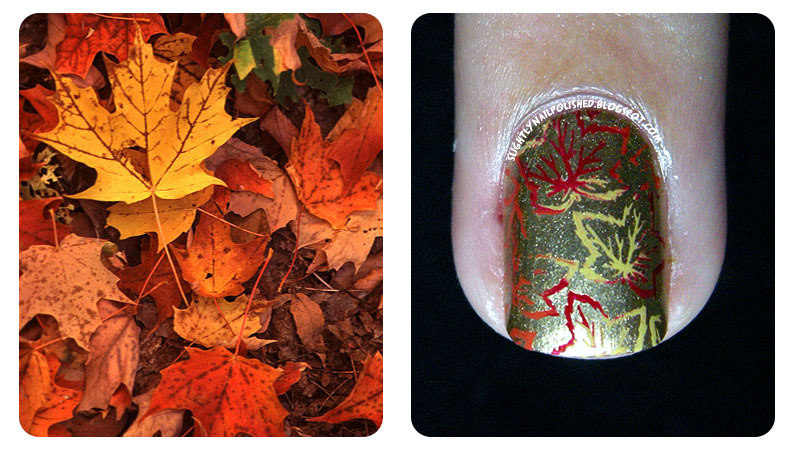 When I think of October, I think of multi-colored leaves. We don't see much of them here in Southern Calfornia, but we do see it in movies and autumnal tv episodes, lol. I stared with a China Glaze Passion as my base them stamped Rapid Red, Heat Flash, and Lightening by Sally Hansen Insta-Dri in a random pattern over another Bundle Monster Holiday plate; BM-H11. Breast Cancer awareness month is also in October. 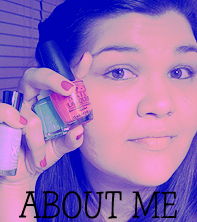 I started with Something Sweet by China Glaze as my base color. 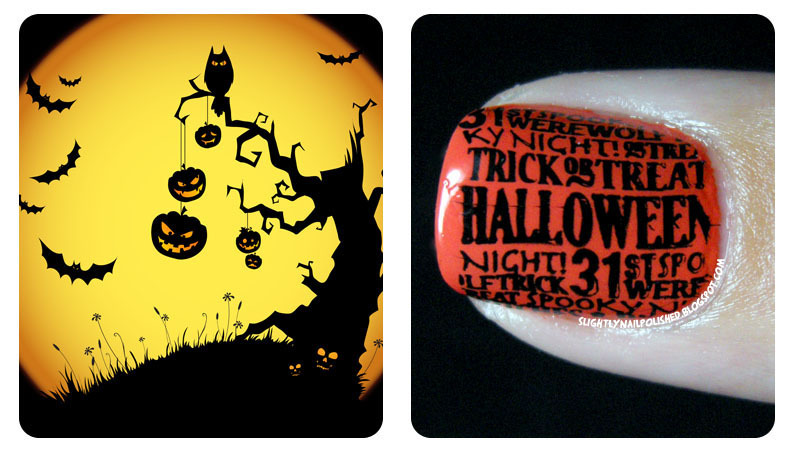 Then stamped Bundle Monster 2012 set (plate BM-321) with Knockout Pink by Sally Hansen Insta-Dri. I was going to add a red rose... but my nail was too small, lol. It wouldn't be October unless there were pumpkins on the vine ready to be harvested! Whether you bake them for pumpkin pie or hollow them out to make Jack-O-Lanterns for Halloween, pumpkins are a staple for the month of October. I stared with a coat of Lightening as my base color, then went to stamping with yet another Bundle Monster Holiday plate: BM-H11. I used Heat Flash for the pumpkins and Rapid Red for the leaves. 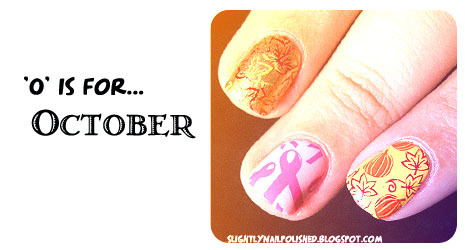 All polishes used in this nail were by Sally Hansen Insta-Dri, by the way. I hope you liked the design I created for you. ^_^ Have a great day!